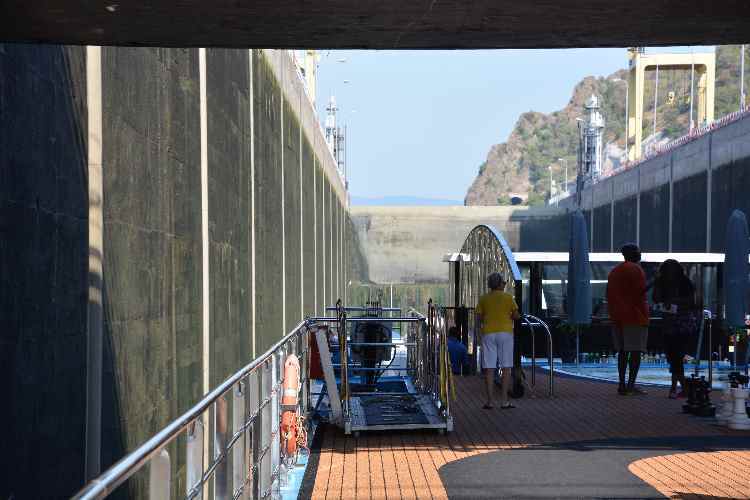 This morning we traversed the Iron Gate 2 double lock and entered the Iron Gate Gorge. 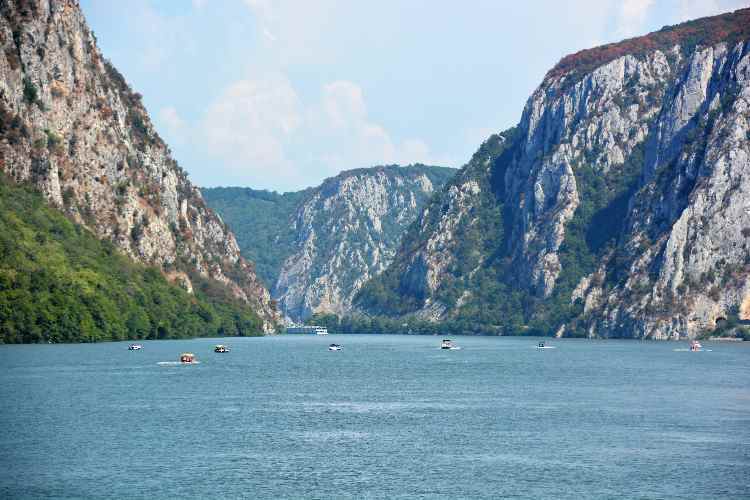 Iron Gate, Romanian Porţile de Fier, Serbo-Croatian Gvozdena Vrata, the last gorge of the Ðerdap gorge system on the Danube River, dividing the Carpathian and Balkan mountains and forming part of the boundary between Serbia and Romania. 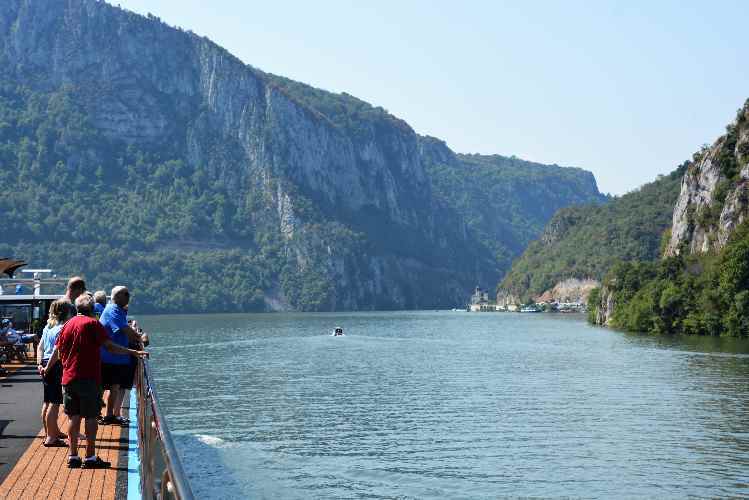 It is about 2 miles (3 km) long and 530 feet (162 metres) wide, with towering rock cliffs that make it one of the most dramatic natural wonders of Europe. 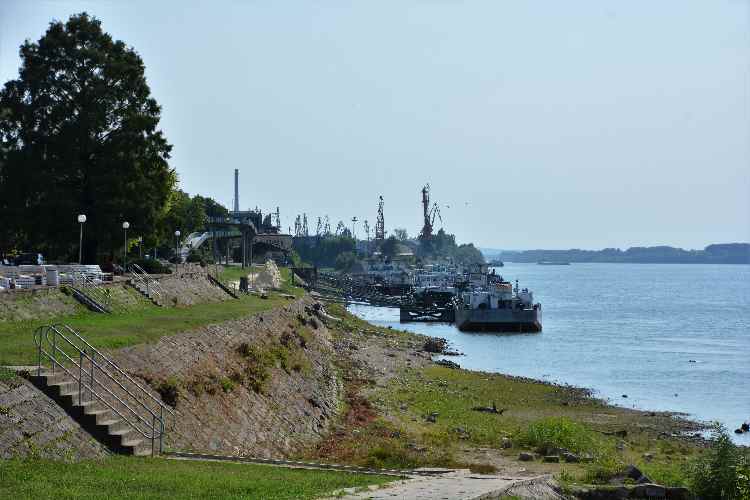 Near the town of Sip a large rock reef (called Perigrada) obstructed nearly the whole width of the river until the construction of the Sip Canal in 1896. 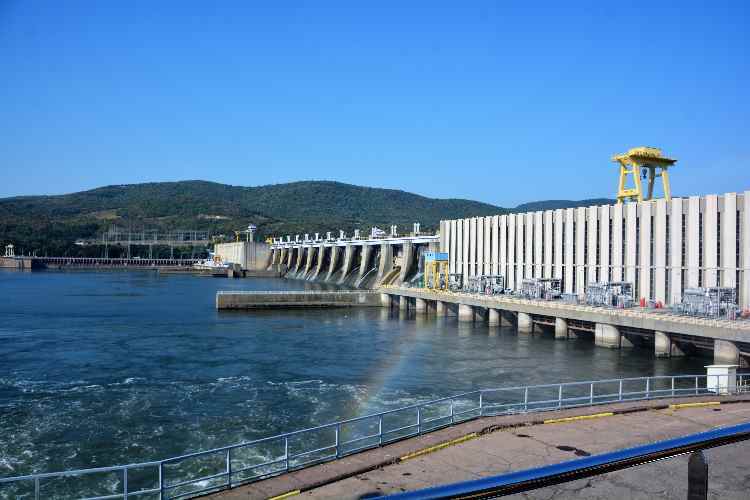 A joint development project of Romania and Yugoslavia on the Danube River (including a dam and hydroelectric power plant) was completed in 1972, providing equal amounts of energy to each country and quadrupling the annual tonnage of shipping. 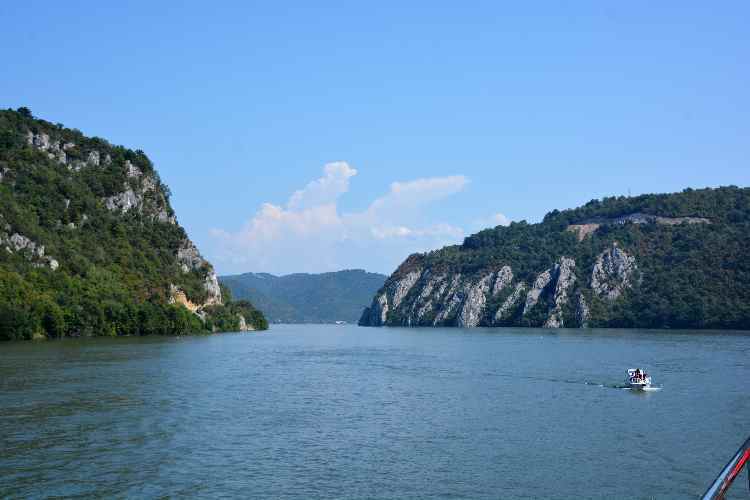 The name Iron Gate is commonly applied to the whole 90-mile- (145-kilometre-) long gorge system. 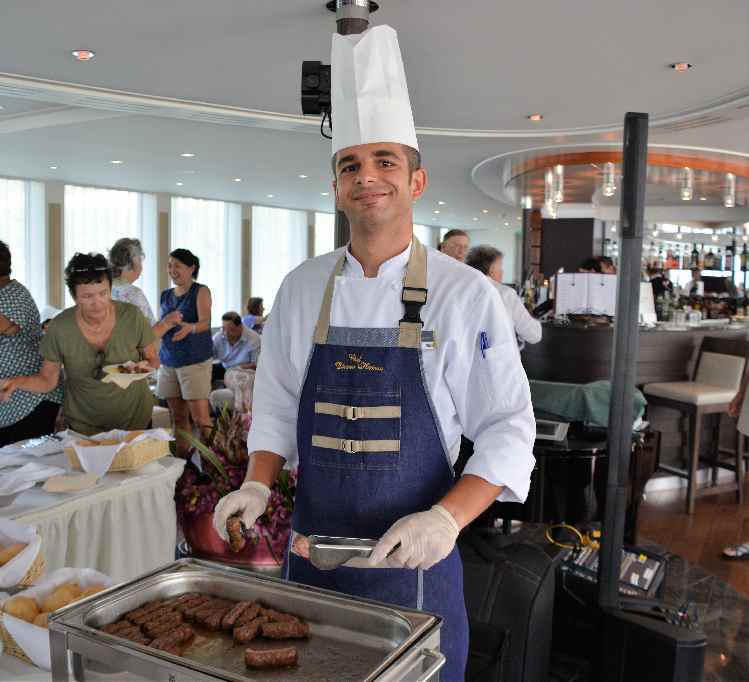 The rest of the day had a variety of special events including a Balkan BBQ sampling and an Ice Cream party squeezed in between lunch, tea and dinner. Plenty of food for all! 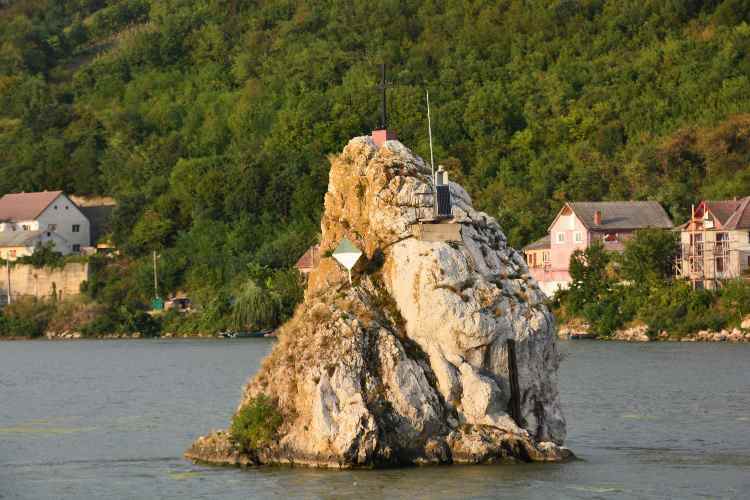 Our final sight in the Iron Gate area was the Golubac Castle and the Babaqai Rock. The fortress, which was most likely built during the 14th century, is split into three compounds which were built in stages. It has ten towers, most of which started square, and several of which received many-sided reinforcements with the advent of firearms. 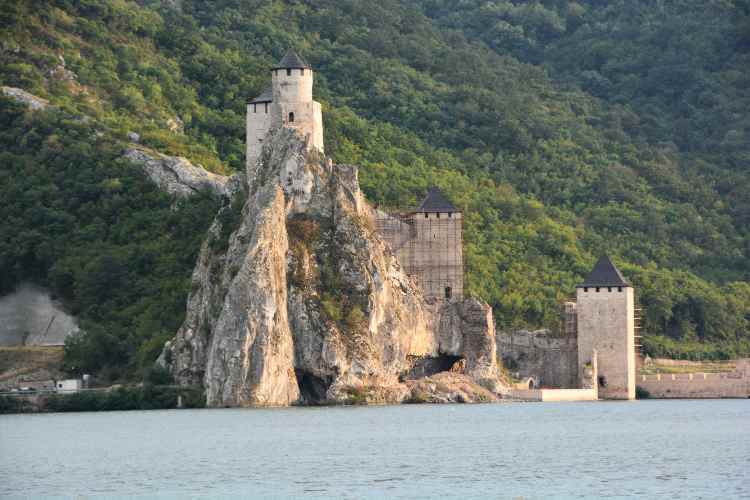 Golubac Fortress has had a tumultuous history. Prior to its construction it was the site of a Roman settlement. During the Middle Ages, it became the object of many battles, especially between the Ottoman Empire and the Kingdom of Hungary. It changed hands repeatedly, passing between Turks, Bulgarians, Hungarians, Serbs, and Austrians, until 1867, when it was turned over to the Serbian Knez, Mihailo Obrenović III. 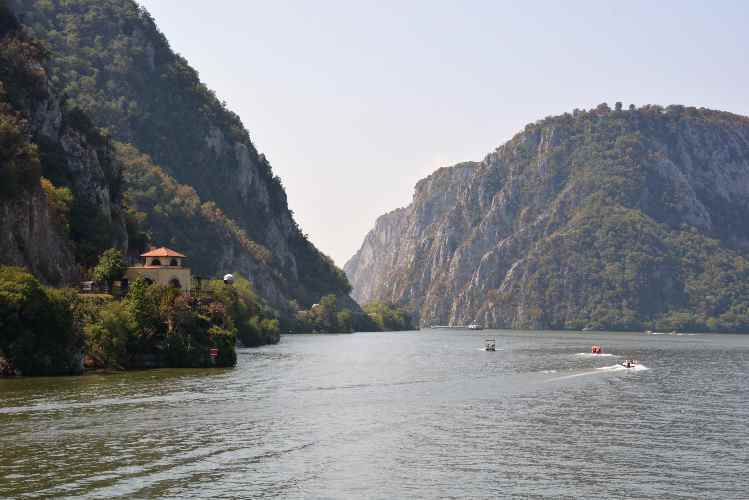 Now, it is a popular tourist attraction in the region and a sightseeing point on Danube boat tours. 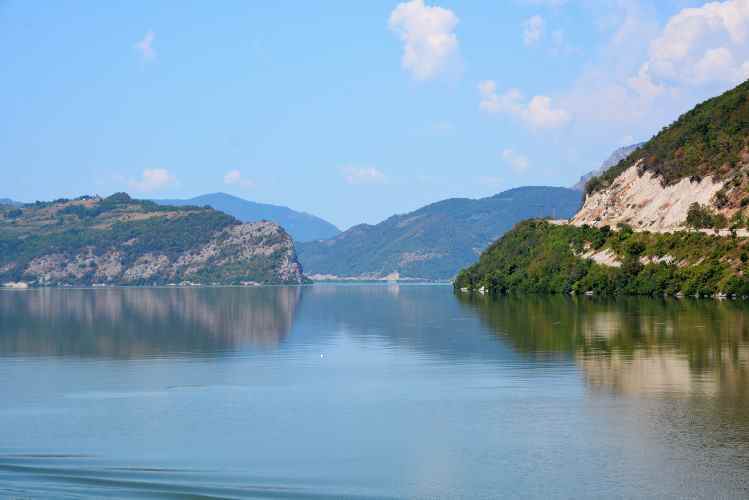 This morning we moved across the river from Romania to Ruse, Bulgaria. 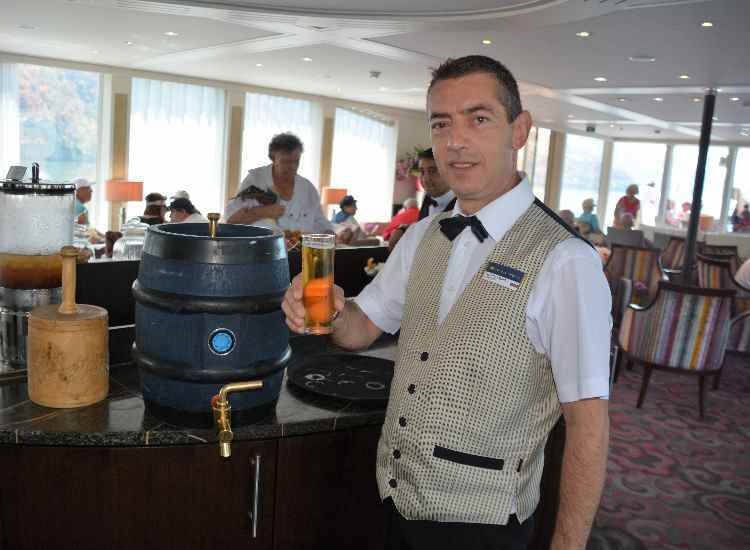 As we were not inclined for another 8 hour tour, we rested on the ship and walked around the town. 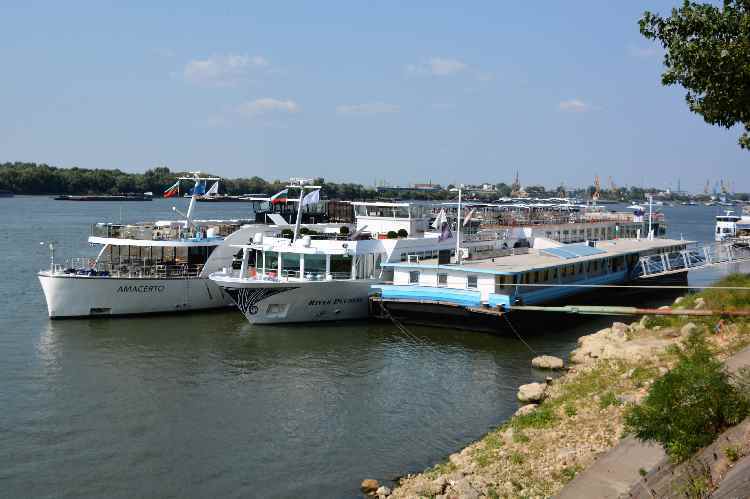 Scholars suggest that the city on the river bank derived its present name from the root *ru- ("river", "stream") or from the Cherven fortress, meaning red, through the root rous, which is present in many Slavic languages. 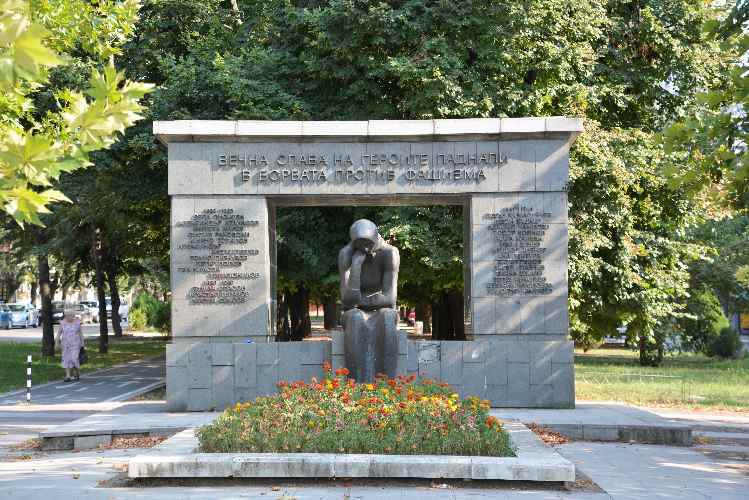 A popular legend claims that the name Ruse comes from the name of a female founder of the city, whose name was Rusa, meaning "blond hair". 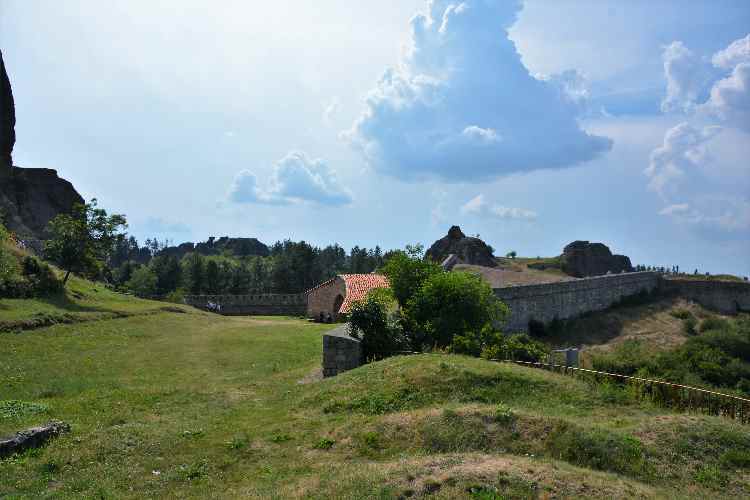 In the 13th and 14th centuries, during the time of the Second Bulgarian Empire, a fortified settlement called Rusi, first mentioned in 1380, emerged near the ruins of the earlier Roman town. 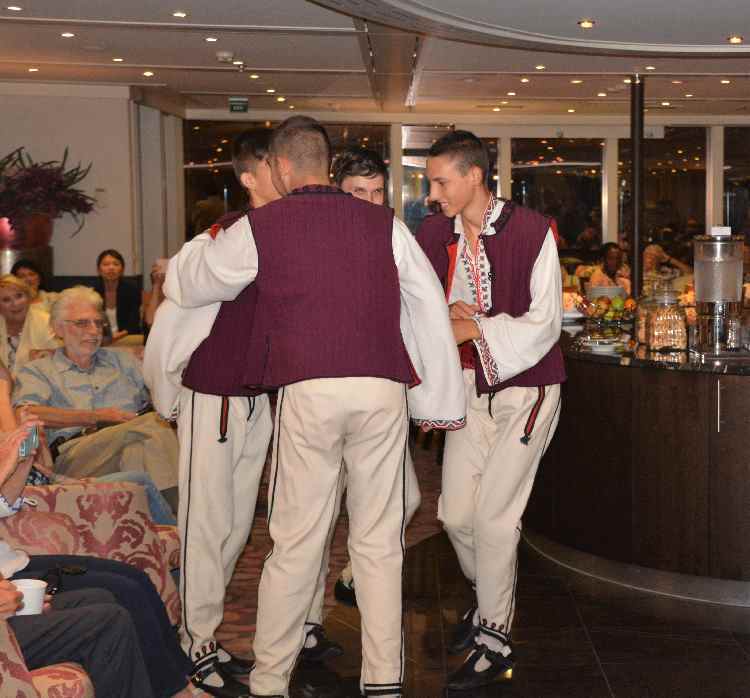 Other theories include: settlement by people from Rus'; a connection to the village of Rusokastro in Burgas Province; an unattested tribe of Getae with a name such as Riusi, or; the pagan festival of Rosalia. 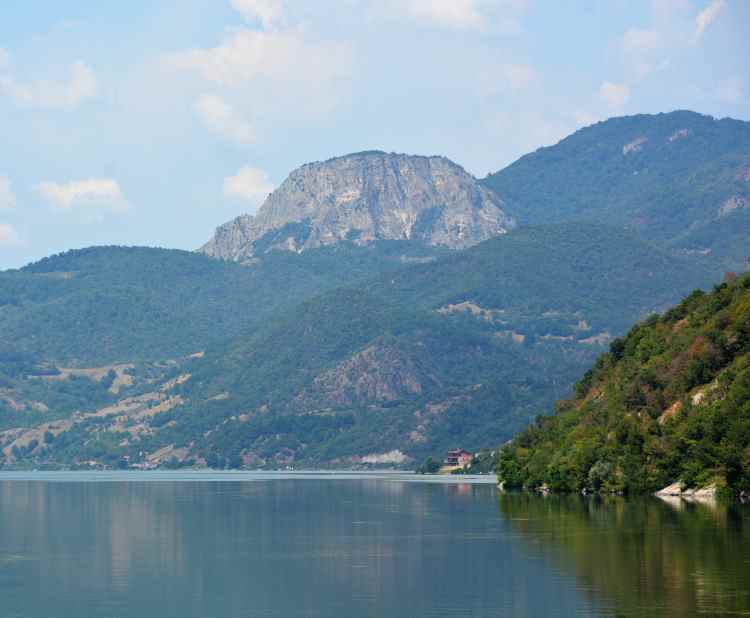 We then cruised overnight and arrived at Vadin, Bulgaria at about 1400. 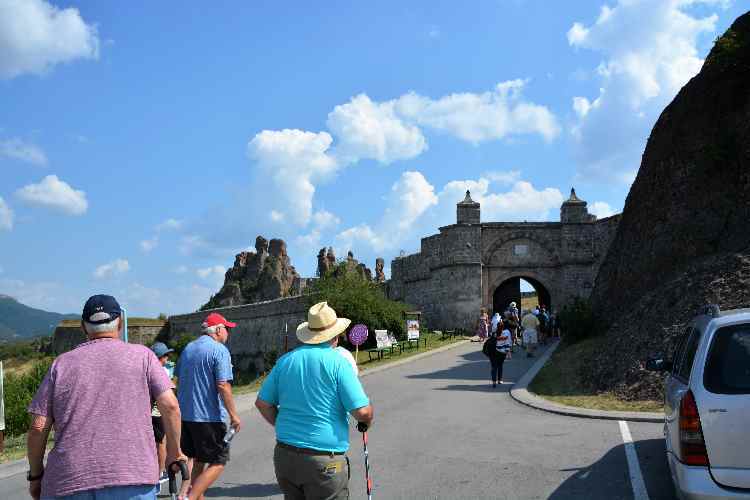 We hopped on the bus, and made the one hour drive to the Belogradshik fortress. The Belogradchik Fortress, also known as Kaleto (Калето, "the fortress" from Turkish kale), is an ancient fortress located on the north slopes of the Balkan Mountains, close to the northwestern Bulgarian town of Belogradchik and is the town's primary cultural and historical tourist attraction, drawing, together with the Belogradchik Rocks, the main flow of tourists into the region. 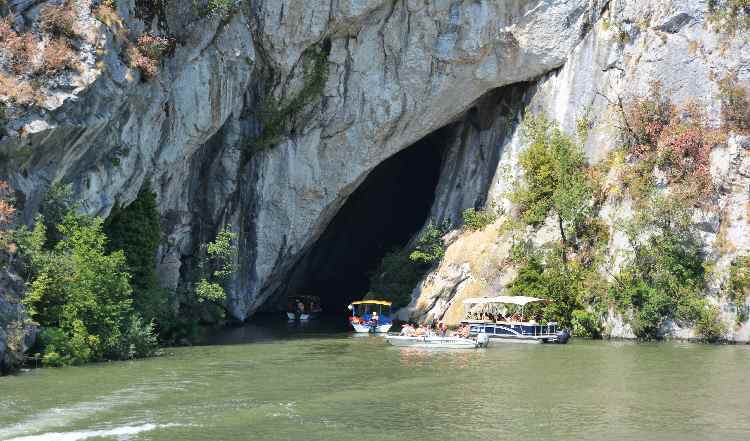 It is one of the best-preserved strongholds in Bulgaria and a cultural monument of national importance. 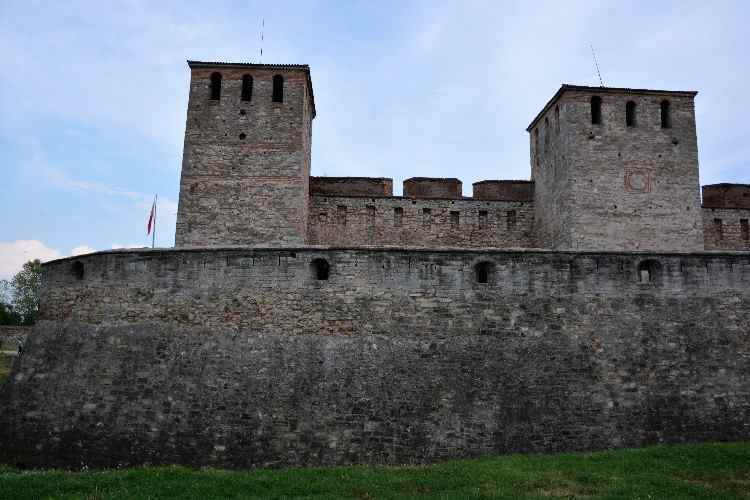 The fortress's walls are over 2 metres (6.6 ft) thick in the foundation and reaching up to 12 m (39 ft) in height. Three separate fortified yards exist that are connected with each other through gates. 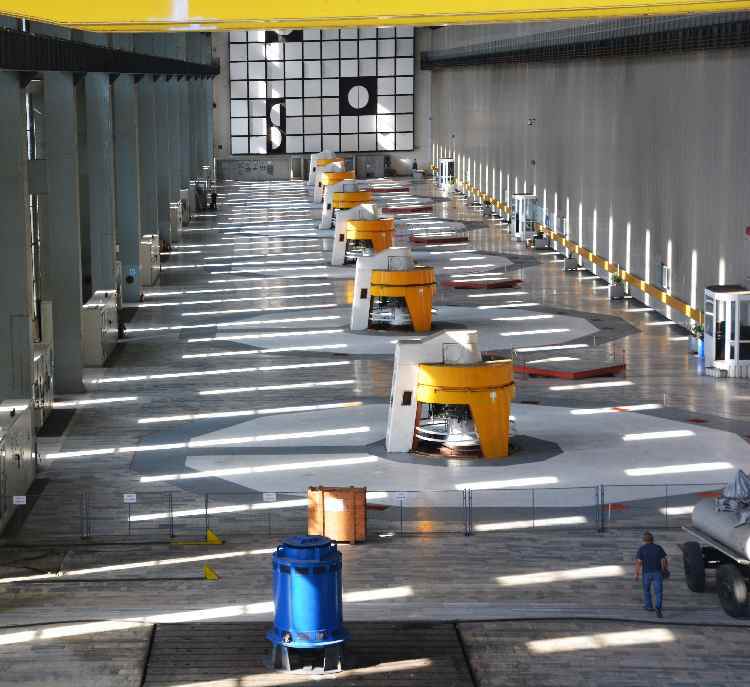 The fortress has a total area of 10,210 square metres (109,900 sq ft). 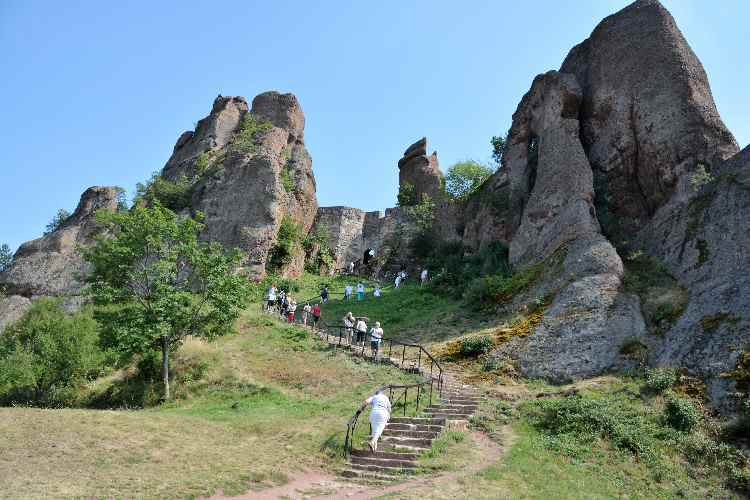 The Belogradchik Fortress was reconstructed to later become a proclaimed cultural monument. 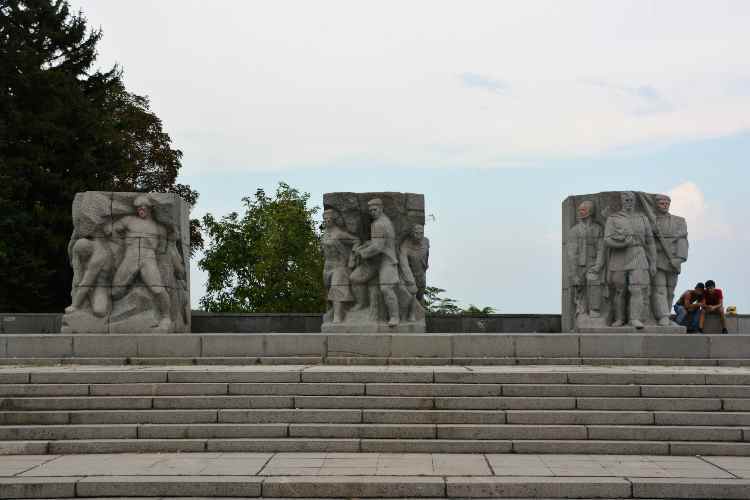 It is managed by the local historical museum authority. We then traveled back to Vadin and took a quick tour of the Baba Vida Fortress before walking back to the ship. 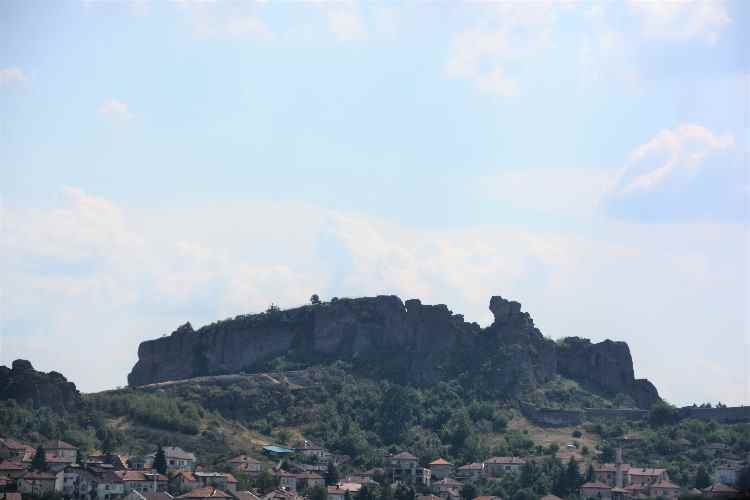 The construction of the fortress began in the 10th century at the place of the Ancient Roman castell Bononia. 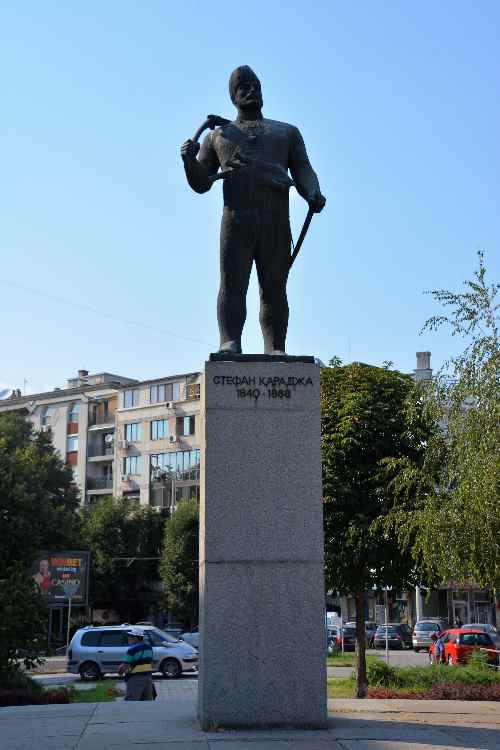 The building of Baba Vida is tied to a legend, according to which a Danubian Bulgarian king who ruled at Vidin had three daughters: Vida, Kula and Gamza. Prior to his death, he divided his realm among the three. 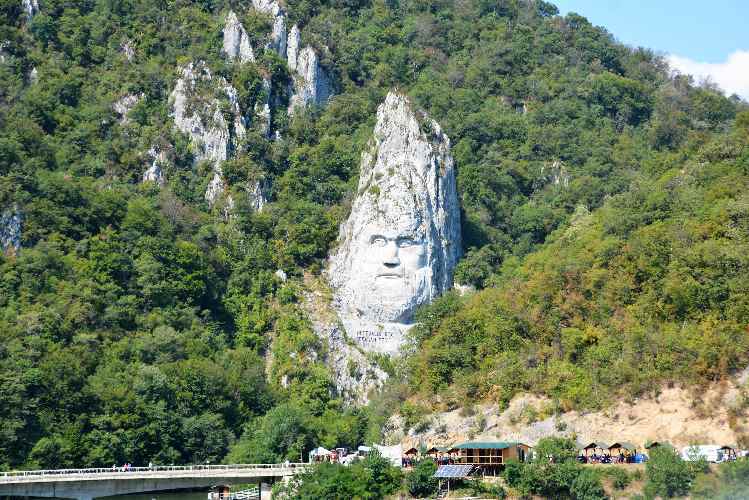 Vida, the eldest, was given Vidin and the lands north to the Carpathians, Kula was awarded Zaječar and the Timok Valley, and Gamza was to rule the lands west up to the Morava. Although Gamza and Kula married to drunkard and warlike nobles, Vida remained unmarried and built the fortress in her city. The name of the castle means "Granny Vida". 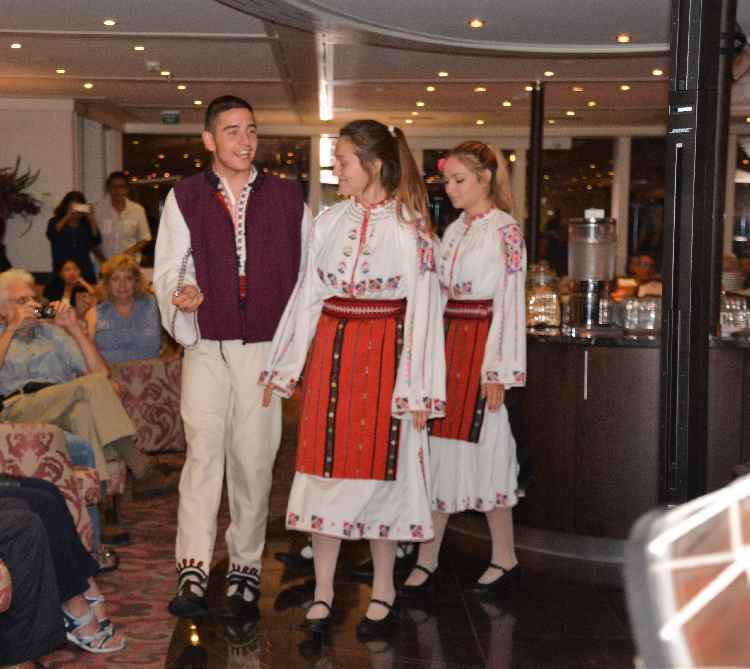 This evening after dinner, a local youth group boarded the ship and treated us to some local Bulgarian fold dancing.